A totaly unique collection of urban, contempary, multi-ethnic message and secular style tunes designed to stir up awareness of the creator's presence and his message in a form understandable by a broad range of ages, ethnic and religious backgrounds. 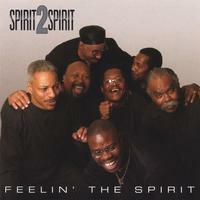 Spirit 2 Spirit is one of the Elite Forces in Contemporary/Message Gospel music, and diligently works to be a voice for God in that field. Artist Info: New World Gospel Group From The Washington DC. Metro Area. Artist description: New World Gospel Group From The DC Metro Area. Gospel Singers And Musicians From "The Old School". Musical influences: Earth Wind and Fire, The Mighty Southern Echoes of Wash, DC. The Mighty Clouds, The Brecker Bros, Kool and The Gang, The Motown Sound, The Williams Brothers. Similar Artists: Spirit 2 Spirit has a Rather Unique Sound. Michael Jenkins: Bass, Keyboard Programming, and Background Vocals. Denny Jenkins: Percussion, Keyboard Programming, Lead and Background Vocals. Ricky Burns: Percussion, Keyboards, Lead and Background Vocals. James Marshall: Lead and Background Vocals. Curtis Day: Guitar, Keyboards, Lead and Background Vocals. Tony Carr: Guitar, and Background Vocals. Michael Simon: Drums, Percussion, Lead and Background Vocals. Anthony (Muke) Thompson: Keyboards, Flute.